Imagine a pathogen that infects completely healthy people and can cause blindness in one day and flesh-eating infections, brain abscesses, and death in just a few days. Now imagine that this pathogen is also resistant to all antibiotics. This is the nightmare scenario that obsesses Thomas A. Russo, MD, Professor of Medicine in the Jacobs School of Medicine and Biomedical Sciences at the University at Buffalo (UB). Since seeing his first case in Buffalo seven years ago, he has been investigating hypervirulent Klebsiella pneumoniae, a rare, but increasingly common, strain of K. pneumoniae. There is no accurate method for distinguishing between the hypervirulent strain from the classical strain of K. pneumoniae, which is most often seen in the Western hemisphere, is less virulent, and usually causes infections in hospital settings. Now Dr. Russo, who heads the Division of Infectious Diseases in the UB Department of Medicine, and his colleagues have discovered several biomarkers that can accurately identify hypervirulent K. pneumoniae. The research was published online on June 20, 2018 in the Journal of Clinical Microbiology. In a commentary paper the journal published on June 27, 2018, authors from the Fujita Health University School of Medicine in Japan and the University of Pittsburgh School of Medicine noted that the UB research is "a major step forward" in developing a consensus definition of the hypervirulent strain and in designing international studies to reveal more about its epidemiology and clinical presentation. 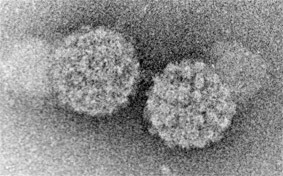 "Presently, there is no commercially available test to accurately distinguish classical and hypervirulent strains," said Dr. Russo. "This research provides a clear roadmap as to how a company can develop such a test for use in clinical laboratories. It's sorely needed." Dr.
A DNA-sensing enzyme forms droplets that act as tiny bioreactors creating molecules to stimulate innate immunity - the body's first response to infection, University of Texas (UT) Southwestern researchers report. The work, published online on July 5, 2018 in Science, could lead to novel treatments for infections, autoimmune disease, and cancer. A hallmark of all three of those illnesses is the presence of DNA - either foreign or self - in the cell's gel-like interior known as the cytoplasm, said Dr. Zhijian "James" Chen, Professor of Molecular Biology at UT Southwestern, a Howard Hughes Medical Institute Investigator, and senior author of the study. The study's lead author is graduate student Mingjian Du. In 2012, Dr. Chen's laboratory discovered the enzyme cyclic GMP-AMP synthase (cGAS), which acts as a sensor in a cellular alarm system for innate immunity. The body has two immune systems. The first is an inborn, or innate, immune system that guards the body against threats it first encounters. The second is the adaptive immune system that deploys specialized immune cells to eradicate pathogens. The innate immunity sensor cGAS sounds the alarm when it encounters DNA - either from pathogens or from the body's own cells in the case of autoimmune disease - in areas of the cell where that genetic material should not be. Dr. Chen also identified the small molecule cGAMP, which is produced by the enzyme cGAS and functions as a secondary messenger that triggers innate immune responses. The current Science article is titled “DNA-Induced Liquid Phase Condensation of cGAS Activates Innate Immune Signaling.” The current study finds that when cGAS encounters pathogenic DNA, it binds with the DNA to create droplet-size, microreactors that hold together despite the lack of a membrane. Neuroblastoma, a rare childhood cancer of the sympathetic nervous system, is particularly deadly because it is difficult to detect and thus generally advanced before treatment begins. Scientists know that neuroblastoma develops from embryonic neural crest cells that fail to properly migrate or differentiate, but the details about exactly what causes these cells to go astray have been unclear. Motivated by a desire to better understand the molecular circuitry underlying neuroblastoma and limitations of current methods for predicting disease progression and outcome, researchers from the Kulesa Lab at the Stowers Institute for Medical Research (Kansas City, Missouri) and collaborators at the University of Michigan and Oxford University set out to construct a logic-based model incorporating information about developmental signaling pathways implicated in the disease. The scientists sought to test whether their model could predict disease outcomes more effectively than the current predictive methods, which are based on gene expression information from human patient samples but do not provide much insight about how these molecules interact to participate in disease progression. Using a six-gene input logic model, the team simulated a molecular network of developmental genes and downstream signals that predicted a favorable or unfavorable disease outcome based on the outcome of four cell states related to tumor development - cell differentiation, proliferation, apoptosis, and angiogenesis. The six genes of the model included three receptor tyrosine kinases involved in sympathetic nervous system development and implicated in neuroblastoma - trkA, trkB, and ALK - plus their three ligands. Two competing theories about the human occupation of Southeast Asia have been debunked by ground-breaking analysis of ancient DNA extracted from 8,000 year-old skeletons. Southeast Asia is one of the most genetically diverse regions in the world, but for more than 100 years, scientists have disagreed about which theory of the origins of the population of the area was correct. One theory maintains that the indigenous Hòabìnhian hunter-gatherers who populated Southeast Asia from 44,000 years ago adopted agricultural practices independently, without the input from early farmers from East Asia. Another theory, referred to as the “two-layer model” favors the view that migrating rice farmers from what is now China replaced the indigenous Hòabìnhian hunter-gatherers. Academics from around the world collaborated on new research, just published in the July 6, 2018 issue of Science, which found that neither theory is completely accurate. Their study discovered that present-day Southeast Asian populations derive ancestry from at least four ancient populations. The article is titled “The prehistoric peopling of Southeast Asia.” DNA from human skeletal remains from Malaysia, Thailand, the Philippines, Vietnam, Indonesia, Laos, and Japan dating back as far as 8,000 years ago was extracted for the study (scientists had previously only been successful in sequencing 4,000-year-old samples from the region). The samples also included DNA from Hòabìnhian hunter-gatherers and a Jomon from Japan - a scientific first, revealing a long suspected genetic link between the two populations. In total, 26 ancient human genome sequences were studied by the group and they were compared with modern DNA samples from people living in Southeast Asia today. An international team of scientists, led by geneticists from Trinity College Dublin, have sequenced the genomes from ancient goat bones from areas in the Fertile Crescent where goats were first domesticated around 8,500 BC. The results reveal a 10,000-year history of local farmer practices featuring genetic exchange both with the wild and among domesticated herds, and selection by early farmers. This genetic data - including 83 mitochondrial sequences and whole genome data from 51 goats – was published in the July 6, 2018 issue of Science by PhD Researcher in Genetics, Kevin Daly, and colleagues. The article is titled “Ancient Goat Genomes Reveal Mosaic Domestication in the Fertile Crescent.” One of our first domesticates and a source of meat, milk and hides, goats now number almost a billion animals. They have been a partner animal since c. 8,500 BC. 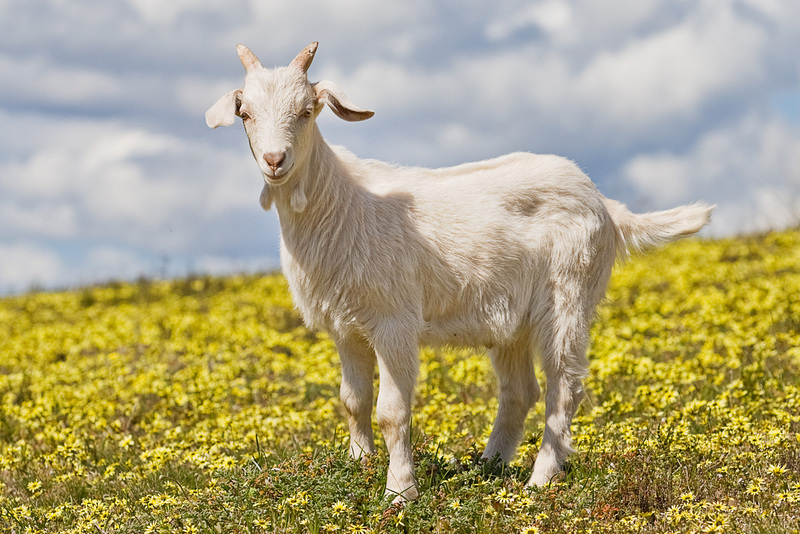 The earliest evidence for domestic goats occurs in the Fertile Crescent region of Southwest Asia, where crop farming and animal herding began. Before herding, local hunters targeted wild goats - also known as bezoar - and this local practice eventually became the basis of goat management and livestock keeping. However, reading the past from examining modern genetics is difficult due to thousands of years of migration and mixture. "Just like humans, modern goat ancestry is a tangled web of different ancestral strands. The only way to unravel these and reach reliably into the past is to sequence genomes from actual ancient animals; a kind of molecular time travel," said Professor of Population Genetics and ERC Advanced Investigator at Trinity College Dublin, Dr. Dan Bradley, who led the project. 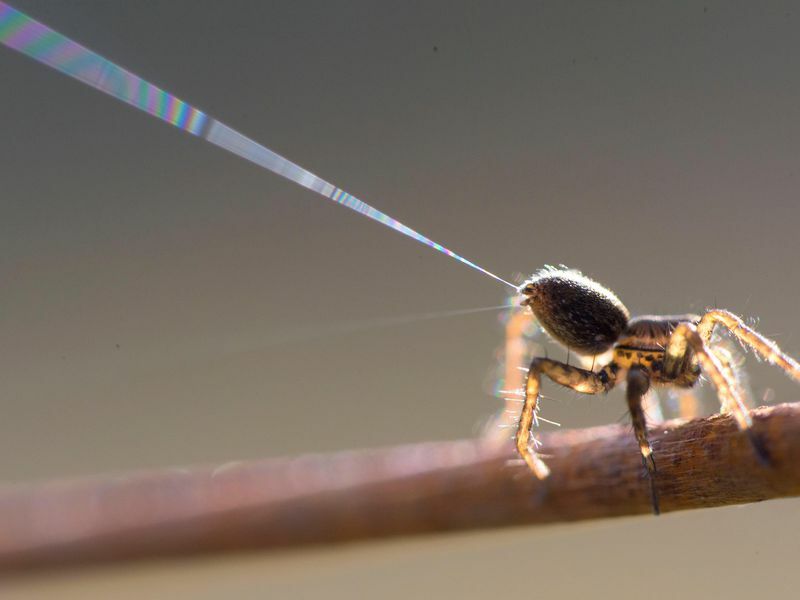 The aerodynamic capabilities of spiders have intrigued scientists for hundreds of years. Charles Darwin himself mused over how hundreds of the creatures managed to alight on the Beagle on a calm day out at sea and later take off from the ship with great speeds on windless day. Scientists have attributed the flying behavior of these wingless arthropods to “ballooning,” where spiders can be carried thousands of miles by releasing trails of silk that propel them up and out on the wind. However, the fact that ballooning has been observed when there is no wind to speak of, when skies are overcast, and even in rainy conditions, raises the question - how do spiders take off with low levels of aerodynamic drag? Biologists from the University of Bristol (UK) believe they have found the answer. "Many spiders balloon using multiple strands of silk that splay out in a fan-like shape, which suggests that there must be a repelling electrostatic force involved," explains lead researcher Dr. Erica Morley, an expert in sensory biophysics. "Current theories fail to predict patterns in spider ballooning using wind alone as the driver. Why is it that some days there are large numbers that take to the air, while other days no spiders will attempt to balloon at all? We wanted to find out whether there were other external forces as well as aerodynamic drag that could trigger ballooning and what sensory system they might use to detect this stimulus." Gene therapy has gained momentum in the past year, following the federal government's approval of the first such treatments for inherited retinal diseases and hard-to-treat leukemia. Now, research led by scientists at Washington University School of Medicine in St. Louis has shown, in mice, that genetic material can be delivered to damaged cells in the kidneys, a key step toward developing gene therapy to treat chronic kidney disease. The potentially fatal condition affects 30 million Americans, most of whom don't realize they have chronic kidney disease. No cure exists, and current treatments for end-stage disease mostly are limited to dialysis and kidney transplant. However, the researchers said gene therapy could provide a way to deliver genes that slow or reverse cell damage that leads to chronic kidney disease. The findings were published online on July 5, 2018 in the Journal of the American Society of Nephrology. The article is titled “Efficient Gene Transfer to Kidney Mesenchymal Cells Using a Synthetic Adeno-Associated Viral Vector.” "Chronic kidney disease is an enormous and growing problem," said senior author Benjamin D. Humphreys, MD, PhD, Director of the Division of Nephrology at Washington University. "Unfortunately, over the years, we haven't developed more effective drugs for the condition, and this reality is leading us to explore gene therapy." Diabetes, hypertension, and other conditions cause chronic kidney disease, which occurs when damaged kidneys cannot effectively filter waste and excess fluids from the body. Because symptoms such as nausea, vomiting, sleep disturbances, and swollen limbs are common and nonspecific to the disease, most people don't realize they have chronic kidney disease until irreparable organ damage occurs. One of the most important cell types for controlling certain viral infections are natural killer (NK) cells. As part of the innate and rapid immune response, NK-cell recruitment and activation was thought to be a straightforward process. New research, however, shows that NK-cell recruitment and activation requires a rather carefully choreographed interaction of three cell types in the headquarters of the slower adaptive immune-activation: the lymph node. In a new paper published in the July 3, 2018 issue of Cell Reports, Luis J. Sigal, PhD, Professor Microbiology and Immunology at Jefferson (Philadelphia University + Thomas Jefferson University) and colleagues show that after a mousepox infection in the skin of mice, sentinel immune cells called dendritic cells become infected and rapidly migrate to the draining lymph node carrying the virus along. 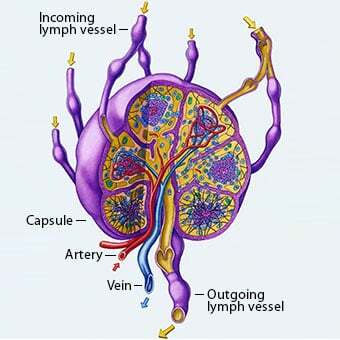 Within the first 24 hours after the initial infection, these dendritic cells perform at least two tasks in the draining lymph node. First, they produce chemokines that specifically attract inflammatory monocytes to the draining lymph node. Second, the dendritic cells stimulate the few NK cells already in the draining lymph node to produce a cytokine known as interferon gamma that stimulates the recently arrived monocytes to produce other chemokines that attract reinforcements in the form of larger numbers protective NK cells to the draining lymph node. The work unveils a cascade of events whereby three types of innate immune cell collaborate to recruit protective NK cells, which are essential for resistance to mousepox. "Although we knew that that cytokines and chemokines are important for NK-cell recruitment to infected tissues," said Dr.
Mayo Clinic researchers are using precision genomics to search for undiscovered, inheritable genetic mutations that cause accelerated aging. In an article published in the July 2018 issue of Mayo Clinic Proceedings, researchers describe their study assessing 17 patients with short telomere syndromes -- rare conditions that result in premature DNA and cellular deterioration. The ability to pinpoint the genetic abnormalities associated with short telomere syndromes is key to finding better ways to screen, diagnose, and treat patients. The article is titled “Short Telomere Syndromes in Clinical Practice: Bridging Bench and Bedside.” "We're using precision genomics like a heat-seeking missile," says Mrinal Patnaik, MBBS, a Mayo Clinic hematologist and clinical researcher. "Not to destroy, but to zero in on genetic mutations that may be linked with short telomere and other inherited bone marrow failure syndromes, providing unique insights into their disease biology." Mayo Clinic is one of the few medical institutions in the world committed to building the necessary expertise in telomere biology, combined with access to a dedicated clinic for such unique patients. This effort has enabled the researchers to undertake the study. Telomeres are DNA-protein structures that protect the ends of chromosomes, similar to plastic tips at the ends of shoelaces. As people age, telomeres naturally break down and become shorter during the process of DNA replication. This process happens faster in parts of the body with higher cell turnover, such as the skin, hair, bone marrow, liver, lungs, and immune system. Scientists hypothesize that this is why certain parts of the body tend to show visible signs of aging, such as hair turning gray and skin becoming wrinkled. A recent study in a preclinical model of inflammatory bowel disease (IBD) shows that dietary exposure to bisphenol-A, or BPA, found in polycarbonate plastics and epoxy resins, can increase mortality and worsen its symptoms. Dr. Clint Allred, a Texas A&M AgriLife researcher in the Nutrition and Food Science Department at Texas A&M University in College Station, led a study published online on June 6, 2018 in the Experimental Biology and Medicine journal. 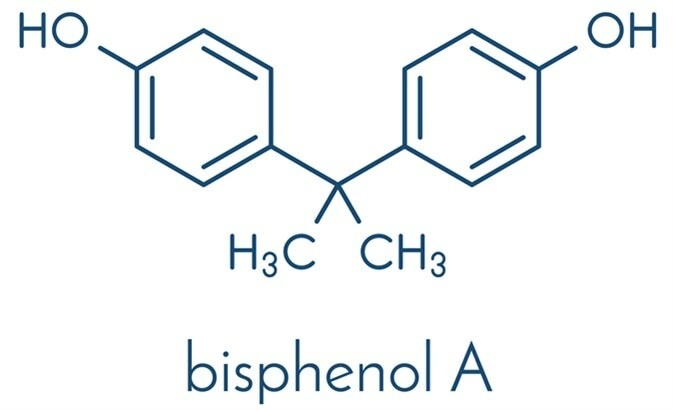 The article is titled “Bisphenol-A Alters Microbiota Metabolites Derived From Aromatic Amino Acids And Worsens Disease Activity During Colitis.” The full text can be viewed online at https://tinyurl.com/IBDresearchBPA. "This is the first study to show that BPA can negatively impact gut microbial amino acid metabolism in a way that has been associated with irritable bowel disease," said Jennifer DeLuca, a graduate student in the Nutrition and Food Science Department and first author for the study. Also participating on the study were Dr. Kimberly Allred, also with the Nutrition and Food Science Department, and Rami Menon, a chemical engineer in the Department of Chemical Engineering at Texas A&M. IBD is a complex collection of diseases that include ulcerative colitis and Crohn's disease. There is chronic inflammation of the digestive tract, and symptoms related to IBD can include severe diarrhea, abdominal pain, fatigue, and weight loss. More serious instances can require lifelong treatment or possibly surgery. "While the causes of IBD have not yet been determined, environmental exposures such as diet, smoking, infections, altered gut microbiome, and toxins or pollutants are risk-factors for development and relapse," Dr. Clint Allred said. "In this study, we wanted to focus on what effect BPA may have on IBD."